This week, I will be traveling to be the Mystery Reader at my granddaughter’s school. Today, I got into teacher mode, as I prepared for this visit. As directed by the teacher, I have sent clues about myself to the class. The teacher will read them to the students to see if they can guess who the reader might be. I am sure my granddaughter will know it’s me when she hears the last two clues: former teacher, and love to quilt. I have chosen a book from one of my favorite series of Bear books by Karma Wilson and Jane Chapman. Since it is November, I will read Bear Says Thanks. In this book, Bear takes out a quilt for all of his friends to sit while he reads to them. I will be taking my Grandma-on -the -Go quilt so the students can sit for story time. I found a 9-patch grid template. I cut 2″ squares out of different colors of construction paper. The students can each make their own 9-patch paper block. Then, the blocks can be assembled to make a Story Time quilt. I also made a November Word Bank and printed off some writing paper with autumn borders. The students can write a story about November. I must say, it was fun getting this all together. These last four days have been great. I got to spend an evening and a day with a very special boy, my grandson. The dinosaur pillow was a big hit with my grandson. It served many purposes, including: jumping, playing game boards, reading, doing puzzles on the iPad, and a “not taking a nap but just resting” pillow. I also got to spend a day with my friend, Nancy. I wish I had taken pictures of the Christmas stockings she made for some friends. We visited Poppy Quilt n’ Sew in Georgetown, Texas. We both found great fabric for future projects. Today, I started working on a floor pillow for my granddaughter. One of the games we play when we are together is “I SPY”. I found some fabric in my bins that I used to start this pillow. While I was looking for more fabric for the “I SPY” pillow, I found a fabric panel that had school images and the map of the United States. It was used on my bulletin boards when I was teaching. My granddaughter is interested in maps, so I started making a pillow top. I am not happy with my attempt at quilting, stitch in the ditch, so this may end up in the UFO box. I might just put both of these projects in the UFO box and ask my granddaughter to design a pillow top for me to quilt. It was good to get back to my sewing machine, but I guess I just was not into anything I made today. Things have been a bit wacky today, since I am preparing for a whirlwind span of things to do and places to be. I’ll be having a Gramma Day with my grandson and dog sitting. I am looking forward to meeting with Nancy and learning new crafts and things. When I return home, I will turn around and leave to be a secret reader for my granddaughter’s school. Then, I have some appointments, followed by a Buddy Trip to Arkansas. Not complaining…just sitting down to take it all in. I did not get to start Block 9 of QAL, but I will try to squeeze it in when I get back. Today, I added the name to the story quilt. I made three strips out of denim; one strip for his first, his middle, and his last name. I only added the top strip with the first name. During any down time this weekend, I plan to add embroidery to the blocks. Nancy shared a site that had some cute activities for toddlers. I made a Halloween Bingo and a Halloween Memory game to play with my grandson. The games are free printable activities on provided by Amber on Crazy Little Projects. Nancy had given me some fabric gift bags that she made. This gave me the idea of making a game bag from some Halloween fabric. Now, I think I will print a set of the Thanksgiving bingo that is on Amber’s blog. I will take this to my granddaughter’s class when I go to read. For the last thirteen years of my mother’s life, we were fortunate to have a very special woman who took care of my mom during the week days. Every time we saw Mrs. O, there was a smile on her face. A few months ago, I ran across a stack of 2.5 ” squares I had cut from the remnants of the quilt I had made for my mother. I decided to make a quilt for Mrs. O, using these squares and other pieces I had in my stash. There was enough white to make more squares, so I made an Irish Chain style quilt. I also had some teal and some yellow fabrics to use for the borders. The orange fabric was purchased for the backing. The quilt came out so “bright and happy”…very suitable to Mrs. O’s character. Today, I went to deliver the quilt. To my surprise, Ramon, a super nice man who took care of my mom’s yard, was at Mrs. O’s house today. As usual, he was providing help to others in need, by taking care of Mrs. O’s yard. The three of us had a very special visit. I took my Tribute to Tonie quilt for them to see. We shared some Tonie stories as we talked about each block. Then, I gave Mrs. O a bag with her quilt, and told her to read the label. Today, I received way more than I gave. For the last few weeks, I have been reading about the history of quilts. 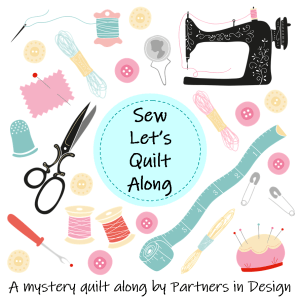 I am at a point where I do not know what I want to do next when it comes to quilting. So, I am dabbling and trying different things. A little bit of improvisation, a bit of artistic, folk art, a bit of embroidery and hand-stitching…and on and on. All of the quilts I have made have been specific to family members; things they like, and bits of their story. I had free cut some strips and decided to make it a block to tell about one of my grandchildren. He was born on a stormy Sunday in October. I thought of the poem: Sunday’s Child is Happy and Wise. My embroidery is just basic. I have been studying Sue Spargo, but I am still a novice at this. I also added a heart made from a piece of my dad’s plaid shirts. I was thinking of embroidering my grandson’s initials on the heart and writing the date of his birth on the left bottom corner. Like I said, I do not know where I am going with this. I am just trying out different things. Today was spent celebrating my granddaughter’s success at school. She received an award for being the star student of the month, and she has a yard sign letting everyone know that she is a very special girl. We took her out to eat and we heard all about how great school is…Proud Grammy! When I returned home, I started pulling out fabric to see where it would lead me. I pulled fabric of different texture, and I cut without rulers. I did use a template to make the state of Texas. I am thinking this will be a project for practicing different techniques, including embroidery and hand stitching. I will call this my “Anything Goes” project. I plan to embroider this somehow.